Does anyone remember a world before Pay-Per-View? I’m guessing most of you don’t…In fact, most of you don’t remember a world before the internet. Back in 1985 when the World Wrestling Federation was launching its mega-card known as WrestleMania, PPV wasn’t an option (and still 2 years away from invention). Viewers had to watch the show in movie theaters and arenas through something called Closed Circuit Television. 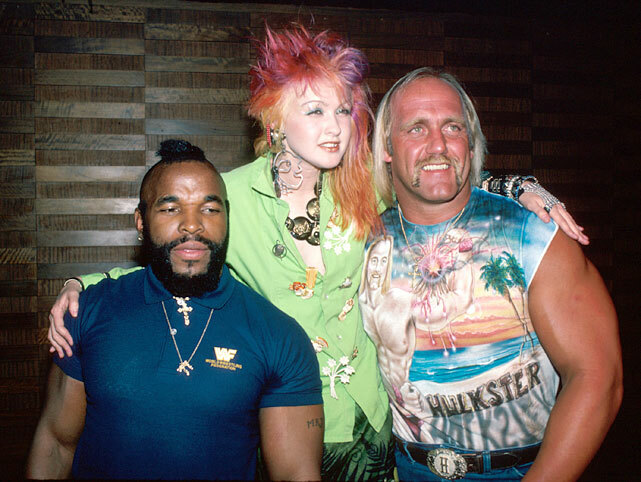 To market such an event, Hulk Hogan and Mr. T made their rounds on morning shows, radio, SNL and late night talk shows, including the Richard Belzer Show. Unfortunately for Richard, this was a time when wrestlers were very secretive about their sport. If you made fun of them, they would prove that what they did wasn’t fake. Belzer had a little too much fun with the Hulk and this was the outcome…. WrestleMania 1 was available on very limited PPV. Most homes didn’t have it in ’85, though. Closed circuit seems awesome, aside from $30 parking we’d get charged nowadays. Rather spend the money at Buffalo Wild Wings and watch. No, it wasn’t. WrestleMania 1 took place almost a year before the advent of pay-per-view television. It was WrestleMania 2 in 1986 that became the first mass-promoted PPV sporting event – even though cable was still limited in availability and subscriber – and laid the groundwork for PPV boxing and even the sports subscription-type of packages we purchase through our providers today. Mike Tyson’s early championship fights weren’t on PPV, they were aired live on HBO.